The Kenya Airport Authority (KAA) will close down JKIA Terminal Two for at least three hours on Thursday during the arrival of US First Lady Melania Trump. On Saturday, the terminal will be closed for 9 hours as she departs for Egypt. In a statement KAA announced that the terminal will be closed on Thursday from 5:30 PM to 9 PM and on Saturday from midnight to 9 AM. “During this time all the domestic flight operations handled at T2 will be handled at JKIA’s Terminal 1D. Terminal 1E (T1E) will be used for International Arrivals and Terminal 1B (T1B) FOR International departures,” statement reads in part. The airports authority has also asked travellers to keep time and be at JKIA three hours ahead of their departure time. The FLOTUS will be in Kenya for a two-day visit where she is expected to visit Kenya National Theatre and later the US embassy. Ms Trump is also expected to go to KWS headquarters and the animal orphanage at the Nairobi National Park where she is expected to adopt one of the animals. 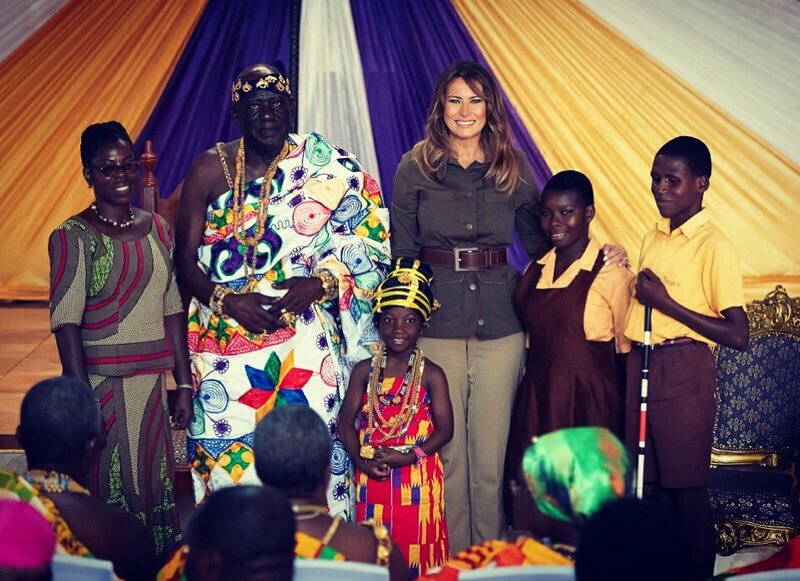 She has been to Ghana and Malawi so far to highlight United States’ support in early-childhood education, HIV prevention and wildlife conservation.